The Reverend Jason Shelton is an award-winning composer, arranger, conductor, song- and worship leader, workshop presenter, and coach for clergy and musicians looking to deepen their collaborative relationships. In 2017 he stepped down as Associate Minister for Music at the First Unitarian Universalist Church in Nashville, Tennessee, which he served since 1998, and is now engaged in a music ministry at-large, focused on serving the musical resource needs of UU (and other liberal) congregations around the country. Jason holds a BA in Classics from Saint Meinrad College – a Catholic seminary in Indiana. 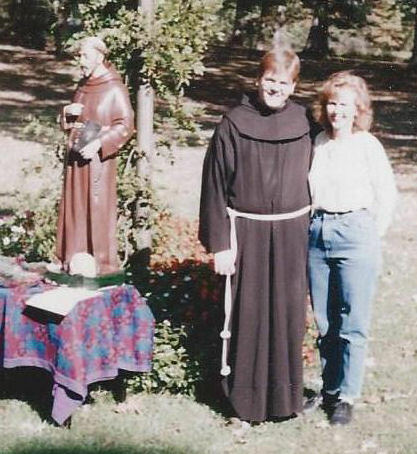 From there he went on to spend three years as a Franciscan brother in Chicago. Those formative years had a deep impact on Jason’s personal and spiritual understanding (and still inform his theological and social/ethical foundation), but ultimately proved not to be the right fit. At a friend’s invitation, Jason visited the First Unitarian Universalist Church of Nashville in the spring of 1998. He felt an instant connection there, and he was hired as Director of Music that summer. In his time at First UU, Jason explored how a Unitarian Universalist ministry of music might come to life both in the congregation and the larger community. In the spring of 2003 he completed an M. Div. from Vanderbilt Divinity School, and was ordained to the Unitarian Universalist ministry in May of 2004. In 2008 the church called Jason as Associate Minister for Music, a role which called forth not only his musical gifts but also those of the preacher, teacher, and pastoral counselor that have been interwoven into his calling to the ministry all along. In his ministry, Jason starts with the premise that “what we sing is who we are.” As a composer, conductor and songleader he is fluent in a wide variety of styles, a quailty he feels is important as a musical and spiritual discipline. He believes that we live in a world where our diversity can be celebrated, where the musics of many peoples intertwine and offer new posssibilities for the sonic expression of our deepest values and commitments. He has served on the board of directors for the Unitarian Universalist Musicians Network and was the first chair of its professional development initiative. He was also a member of the UUA’s New Hymn Resource Commission which created Singing the Journey, a supplement to its current hymnal, Singing the Living Tradition. Jason has conducted choirs at numerous district and national gatherings, and most recently presented composer/pianist Darrell Grant's Step By Step: the Ruby Bridges Suite at the 2017 UUA General Assembly in New Orleans. In addition to his UU ministry, Jason is the Artistic Director of Nashville's Portara Ensemble, a 32-voice chamber choir that is using the vocal arts to make an impact on our community. Jason and his wife, Mary, were married in 1999, and they have two daughters (Amanda and Sam).